10 Signs You Need to Visit a Physiotherapist at the Earliest! In general, most people associate physiotherapy with an image of a disabled person on a wheelchair, struggling to learn how to walk or move after an injury/accident. 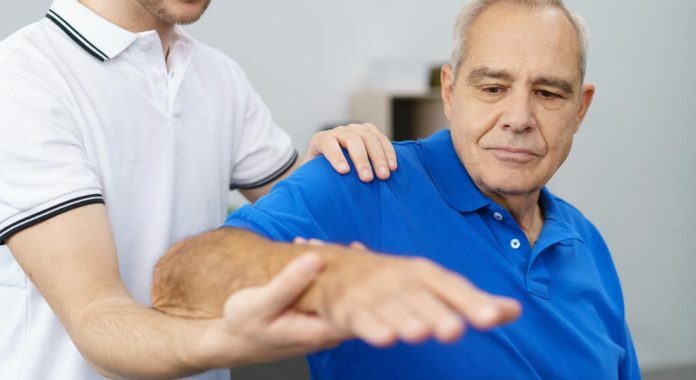 However, there has been a growing awareness about the fact that physiotherapy is not just limited to aged or disabled people; anyone with discomfort or physical pain can benefit from physiotherapy. In some instances, people tend to downplay the necessity of getting the required treatment for their discomfort or chronic pain. With respect to compensating for weaknesses, the body has a miraculous ability to adapt; this translates into you either adapting or getting used to the physical setback within a short span of time. This, of course, is not a suggestion to lead you towards physiotherapy for every ache and pain you may experience, but rather a nudge to make you aware of the enormous benefits that it can have on your life. If you have suffered an injury, then a definite amount of pain is expected till the healing process of the affected tissue is complete. In case you have sprained an ankle, the pain generally lasts for a few weeks. Once the affected ligaments in the ankle start to heal, the pain subsides in a proportionate manner. In some cases, however, the pain may recur after a period of time – this recurring pain then becomes chronic. Common examples of such types of pain are neck and lower back pain. Opting for physiotherapy would allow a certified physiotherapist to examine the problem. After a thorough examination, he/she can chalk out a rehabilitation program consisting of targeted exercise and rest, thus ensuring that your problem is solved permanently. Problems in balance usually result from inner ear issues. The inner ear has structures which play an important role in maintaining the body’s balance. Thus, disorders which exert influence on the inner ear result in symptoms like vertigo, dizziness and an inability to maintain balance. Vestibular rehabilitation is a type of physiotherapy treatment that is used to treat these symptoms. Once your disorder is examined thoroughly, a physiotherapist can chalk out a treatment plan that consists of a string of exercises for the head, eye and the neck. These exercises reconfigure your nervous system to make up for the inner ear disorders. You may experience pain if you sit at your desk for long periods of time. This can present itself in the form of headaches and backaches. The human body is designed for movement, so remaining in one posture for extended periods can lead to cramps of the joints and muscles of the body. Thus, it is recommended that you take regular breaks to keep the body active and in motion. The desk should also be set up correctly in order to prevent this issue. You can consult a physiotherapist to know more about how to adopt better work habits with respect to posture. If you notice a decline in your flexibility or mobility and a lack of smoothness in your movements, then a visit to the physiotherapist should be in order. An example of this would be the inability to touch your toes. A physiotherapist can assess the situation and suggest stretches to strengthen the tissues and relax the muscles; this will aid in improving flexibility. Urinary incontinence is a common disorder that affects women more than men. The chances of being affected by this condition increase with age. The two types of urinary incontinence are urge (intense need to pass urine causing urine leakage) and stress (coughing or sneezing that puts stress on the bladder) incontinence. Pelvic floor exercises recommended by a physiotherapist can help with this condition. A victim of stroke may require extensive physiotherapy to learn skills related to mobility and flexibility. A physiotherapist will suggest what support needs to be used, exercises to be performed and the amount of stress one can take. If you have been suffering from pain as a result of an injury and the prescribed pain medication does not have the desired effect, opting to see a physiotherapist is a good idea. In some cases, physical therapy can help reduce or eliminate pain completely, thus doing away with the need to undergo a surgery. If surgery is inevitable, then physical therapy before the surgery will help you recover faster. When it comes to sports injuries, physiotherapists can chalk out a preventive or recovery exercise regimen to help you avoid/ recover from injuries. They can suggest ways in which you can guard yourself against some of the more common sports related injuries. Exercise plays an important role in a diabetes management plan, as it helps in optimizing blood sugar levels in the body. Diabetics might experience issues related to the sensation in their legs and this is where a physiotherapist comes into play – he/she will educate the patient on how to take care of their foot and prevent future problems. Physiotherapy increases functional independence and mobility potential in many disease conditions. Now, you can call a physio home and get treated in the comfort of your home. Also, there are ample benefits of physiotherapy at home. To avail Portea’s in-home physiotherapy treatment or know more about the service, call 1800-121-2323 or visit www.portea.com.